Erik Mana is an international performer whose expertise range from close up street magic, stage magic, mentalism, and hypnosis for corporate and private events. His performances carry a light hearted, comedic flare with a touch of mystery and danger that will surely keep audience members on the edge of their seat. Erik also offers special customized performances and consultations to cater to a client's theme, product or corporate platform, which include motivational talks, team building as well as illusion design. Wherever around the world and whatever the event or occasion Erik Mana will conjure the magic! Make your next event one that people will talk about for years!! Brilliant and mind boggling performance! Eric performed to our group of 25 business professionals during a conference recently held in Niagara Falls. He left the crowd mesmerized by many of his mind boggling magic tricks. Eric had the group fully participate and his performance left everyone with something to talk about. A great diversion from the many conference speakers! A great show with great atmosphere. Erik makes everyone feel welcomed and at home as he unveils his magic that amazed and made me laugh endlessly. Erik's talent of mixing comedy, magic & audience participation makes this a must see. Erik Mana Inspires a love of Magic! Erik was so special...It was like we invited a being that carried with him a knowing of magic. He was so approachable- and dispelled his magic with the kids in a way that drew the kids closer to him. His big tricks brought a room full of laughter and awe. And his small tricks were kind and awesome! Erik made magic feel real! And we Loved Him! Having Erik perform at our party enhanced the evening ten fold. His charming and engaging personality created an atmosphere of fun and wonder. Not only is he a very skilled performer, he also knows how to engage and captivate an audience. All of our guests were amazed by his show and told us he added the icing on the cake to our evening. I have had the chance to work with Erik Mana for some of the best shows in my life. Creative, flexible, inspiring, Erik performs with much heart and passion for his craft. Pure is the best way to describe his connection to his audience, leaving them with an enigmatic awe, wanting for more. His dedication and professionalism is unparalleled and I only regret having ended my short stint in directing shows as I am sure we would have done far greater shows together. I've had the pleasure of hiring Erik Mana a few times for some corporate shows and events. The experience is nothing short of pure awesomeness. He is very easy to work with and definitely a delight to watch. He has a different brand of magic -- one that transcends the experience from the believable to the impossible. He is more of a mentalist but is wicked when it comes to card artistry. And while many magicians can easily suspend disbelief, Erik's brand of magic does more. He inspires. He engages. He moves people. You gotta experience his style of conjure to believe. Great to work with and hard not to become a fan!! I hired Erik Mana for a few of my events and each time he impressed me with is professionalism and his performance!! He never failed to thrill my audience and keep us all captivated!! Only complaint is its hard to get the other staff to work during his performances, it seems that when he is on stage he steals the focus of the entire theater! Erik Mana is a gifted performer, a master of his craft. He has the ability to combine artistry with magic. I've had the pleasure of seeing him perform and captivate the audience with his creativity and flair, and he commands a strong presence on and off the stage. I would not hesitate to see him perform again. Erik is a well-versed and well-known magician and mentalist in the Philippines. He works professionally and most of his works are nothing short of amazing and breath-taking. Erik Mana's stage performances are completely interactive offering full audience participation. Performances range from 30 - 90 minute performances and are flexible and easily customizable to the client's budget, and program requirements. The client has a choice of a strolling performance or a stage performance or a combination of both. Erik is also very involved and proactive with clients to ensure that everything goes to plan, smoothly and professionally. Erik Mana's professional magic career spans over 26 years. He has developed a diverse range of skills that have made his show, one of the most extraordinary shows ever to watch live! Erik has performed for world leaders, celebrities, royalty and for many of the world's most powerful corporations. His live performances have touched the hearts of thousands from Toronto, California, Las Vegas to as far out as the Middle East in Dubai, Qatar and Abudabi to South East Asia in the Philippines, Malaysia, Thailand, Vietnam and Singapore to name just a few. Erik Mana has also become a household name reaching millions of homes from all over the world through his 3 television specials - Stranger, MasterMind and Believe, which have aired on international networks via ABS-CBN. Apart from his magic performances Erik also specializes in custom illusion designs for corporate product launches. Erik can design illusions to custom fit your product's launch/reveal - everything from as small as a credit card to as large as an SUV (and everything else in between). Erik Mana is an accomplished playing card designer with more than 4 different deck designs under his belt for his brand Mana Playing Cards. Magicians, cardists and card collectors from all over the world have revelled in his deck designs, which have become very rare collector items. 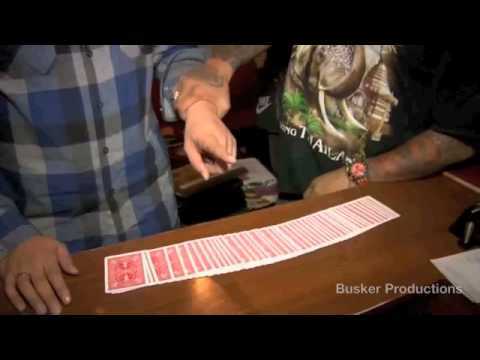 Erik is a member of the prestigious magic fraternity the Society of American Magicians, which include members such as David Copperfield & Harry Houdini.